Out with the old and in with the new isn’t a bad phrase to go by when it comes to shopping, and we’ve added some new on trend Sports Bras to our collection to tempt you even more! We have both Wired Sports Bras and Non Wired designs available, so there’s something to suit everyone. Sports Bras don’t last a lifetime, so what better excuse to give your gym wardrobe a little refresh and invest in a brand new style for the New Year? Our Sports Bras will keep you supported during your workout days and comfy on your rest days. Panache Sport crafts its collection with your fit and comfort in mind, ensuring that sizes up to a J cup are properly supported during workouts. From the wide cushioned shoulder straps to the breathable outer performance fabrics, we have skillfully designed a Sports Bra collection that allows you to outperform the competition. Our wired Sports Bras have been proven to reduce bounce by up to 83%, and now we have a brand new design to keep you looking stylish whilst you work out. Our Wired Black/Latte style combines Athleisure lace fabric with classic shades to give you a timeless look. Its moulded seam free inner cups encapsulates each breast to offer control and shape whilst keeping you comfortable, and can be worn as a racer back to offer even more support. The new Khaki Multi design teams graphic, solid colours to give a stylish modern edge to our classic non wired style. The moulded seam free inner cups continue to be a staple design aspect of the non wired Sports Bra, ensuring it provides you with support and shape. You can opt for a racer back for additional support with this style, too. It’s important not to forget how wearing the right size plays a big part in the comfort and performance of your Sports Bra. Take advantage of our Click, Fit and Collect service available at your local stockist, where you can get a free Sports Bra Fitting. Who says you have to compromise on style and fit when it comes to fitness? 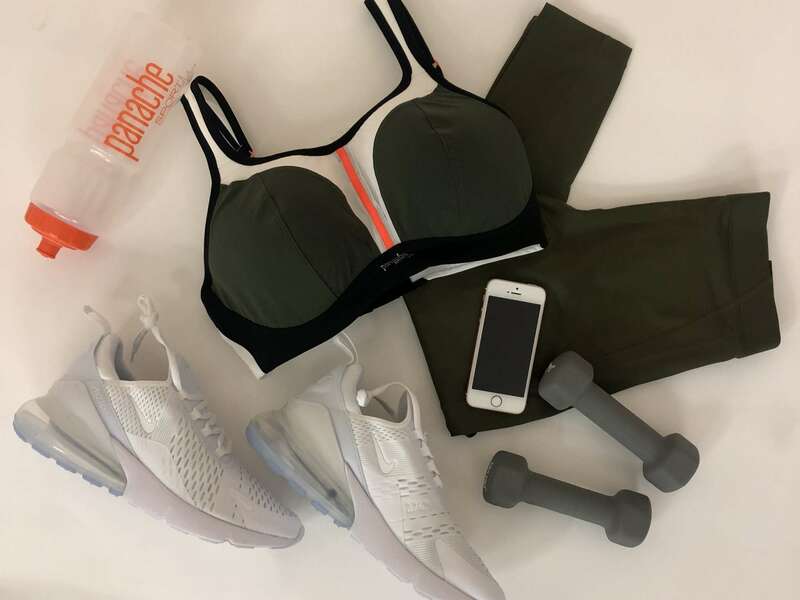 With Panache Sport you can stay supported, comfortable and in control of your workout whilst looking stylish too.